The meat industry is slamming a WHO report that classifies processed meat as cancer-causing. The North American Meat Institute called the conclusion "dramatic and alarmist overreach." 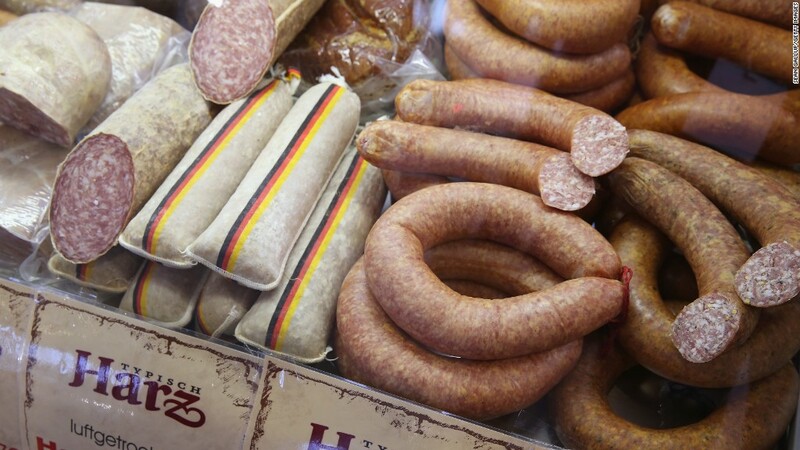 The institute was referring to the United Nations' World Health Organization, which said Monday that eating processed meat causes cancer, and unprocessed red meat might also be carcinogenic. The North American Meat Institute said that the cancer condemnation "defies both common sense and numerous studies showing no correlation between meat and cancer." The National Cattleman's Beef Association released a statement quoting various scientists who picked apart the WHO findings. The association said that cancer is too complex to be blamed on any one cause, like meat. Hormel (HRL), one of the leading meat processors in the industry, said the report ignored the health benefits of meat, noting that the "very important nutrients in meat far outweigh any theoretical hazard." They all said that meat is an important part of a balanced diet. For its part, the WHO said red meat still has "nutritional value" but added that its finding is important for public health because processed meat is so widely consumed. The North American Meat Institute said Americans and Canadians spent $654 per capita on meat and poultry in 2013, its most recent year for statistics. This was 14.5% of the total food bill. -- CNNMoney's Alanna Petroff contributed to this report.